The University of Exeter's Dr Paul Williams will be giving a free public lecture April 25th at Sidmouth Library, titled 'Public Space and Popular Genres: Betjeman's Devon'. Using examples from John Betjeman’s poems and films about Devon, the talk will explore Betjeman’s preoccupation with the environments in which people live and interact. 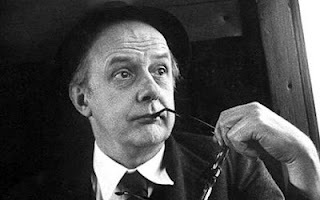 As well as being a best-selling poet, Betjeman was in demand as a radio and television broadcaster. In this illustrated talk, Dr Williams will argue that Betjeman used popular forms of expression to find a voice for the theme of public interaction that he wanted to protect in Britain’s towns and villages. The lecture is from 6.30 - 745 pm, free entry available by advanced booking.